You can haz cheezburger - we'll take Upside Down Dogs anytime. 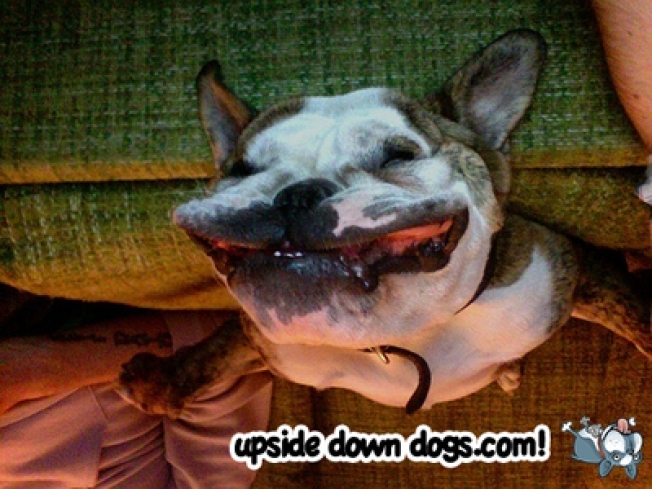 UpsideDownDogs.com: One of our favorite things of the year. When you get right down to it, the greatest inventions succeed because they do one thing really well. Like a teapot, which has only one job: To pour tea. Anything else is off-message, superfluous, or feature creep. An upside down dog looks nothing like a dog right side up. In some cases, you can barely tell it's a dog. The hilarity quotient of an upside-down dog is exactly proportionate to the amount of jowl on the animal. 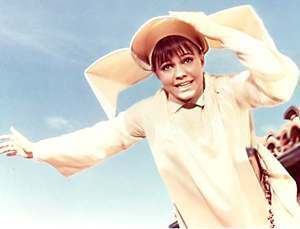 Upside-down collies are kind of meh; but an upside-down boxer or English bulldog is basically a pile of floppy dog jowl stacked on a chin with a nose under it, or winging off the sides like Sally Field's hat in The Flying Nun, and thus 600 percent more fantastic. It levels the canine playing field. Right-side up, trendy breeds like chihuahuas and bichonpoos get all the attention. But upside down, a mean-looking thing like a bull mastiff looks so effing adorable, you want to cuddle it to death. It reminds us that gravity rules everything. Someone took the time to register the URL and upload the first picture. It warms the cockles.